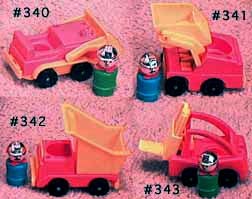 Description: This set includes a small orange and yellow bulldozer and an Original Little People construction worker. 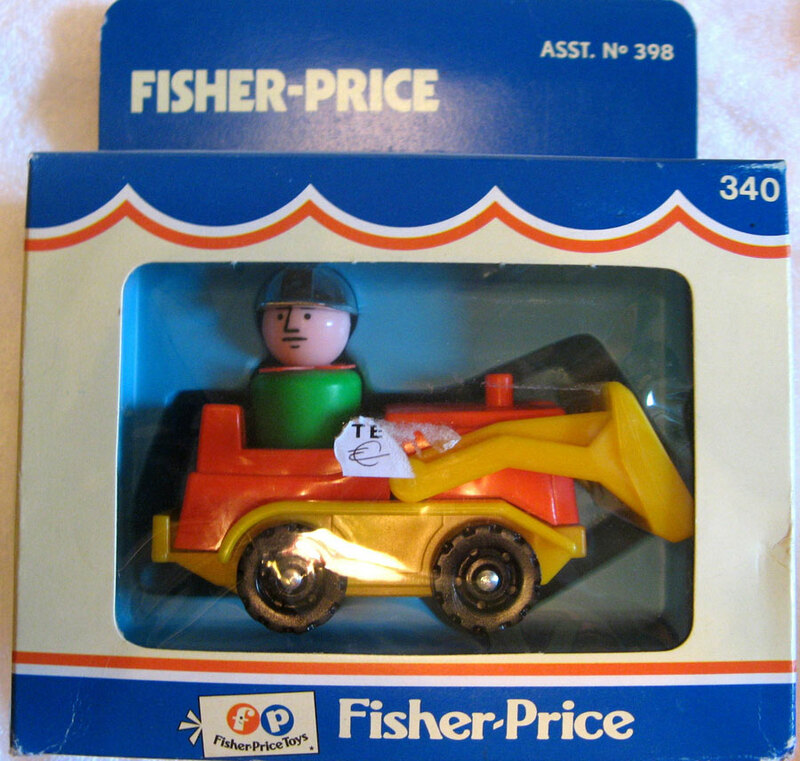 The bulldozer has "spring-loaded action" with a push-down plow on the front. The tireless construction worker (green or light blue body) wears a crome-like construction helmet. FPT409 - Orange 1-seat bulldozer with a Yellow base and a yellow push-down plow on the front. The bulldozer rolls on 4 black knobby wheels. BVPP - Green construction worker with a silver construction helmet, orange scarf, and no moustache.